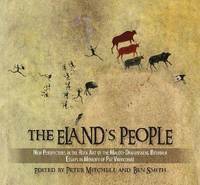 Only 1000 copies of People of the Eland were printed in 1976. It was neither reissued nor reprinted. It has become one of the rarest and most expensive of all books on the African past. One of the things that most disturbed Patricia Vinnicombe while she was working at the Rock Art Research Institute at Wits in the early 2000s was that students could not access her book. As in many libraries, Wits University locks People of the Eland away in its rare and valuable book section. In 2002, Pat started to explore the possibility of republication. But, she did not feel that the book could be reissued without adding additional sections to explain how knowledge had expanded in the decades since the publication of the book. Tragically, Pat died in March 2003 before she could start work on the new sections. 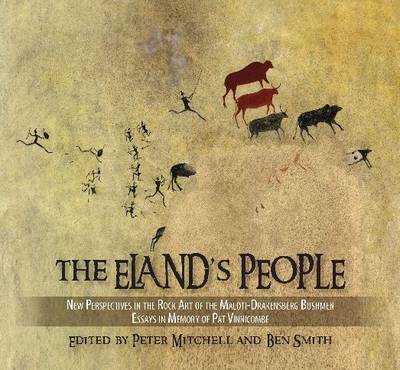 Peter Mitchell and Ben Smith have taken up this challenge and brought together the leading scholars in the field to write new sections to explain both how knowledge has changed since the publication of People of the Eland, and how current research is still influenced by this landmark volume. The Eland's People is thus intended as a companion volume to People of the Eland and it is hoped that this new volume will provide a richer appreciation of the importance of Pat's original work, as well as allowing readers an overview of current understandings of Drakensberg rock art. Editor Peter Mitchell is a university lecturer in African prehistory and holds a tutorial fellowship in archaeology at St. Hugh's College, University of Oxford, England. He is also curator of African archaeology at the Pitt Rivers Museum, Oxford, and an academic member of the multidisciplinary African Studies Centre based at St Antony's College, Oxford. He has previously worked at the University of Cape Town. He serves on the Governing Council of the British Institute in Eastern Africa and is a member of the editorial boards of the African Archaeological Review, Antiquity, Before Farming, Journal of African History, South African Archaeological Bulletin, Southern African Humanities, and World Archaeology. He is also president of the Society of Africanist Archaeologists.